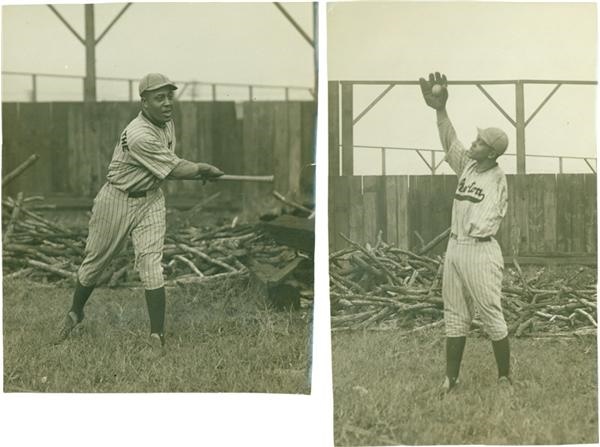 Poignant pair of 1920’s baseball photos demonstrating the epitome of human determination.These Culver Pictures Service photos measure 8 1/2 X 5’ and 6 X 7 1/2”. Marked on the reverse in blue ink, they read “Dan Turner of Philadelphia.” They appear to be photographed outside a long gone mill town ballpark and are dramatic. One can only wonder, what if?? EX, these photos tell more then a story.